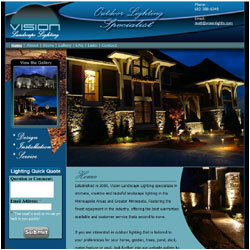 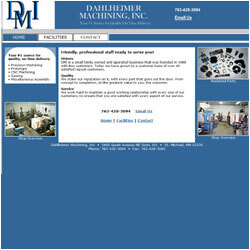 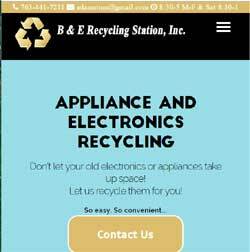 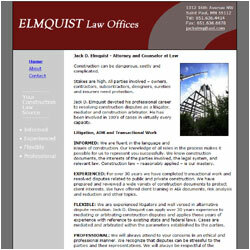 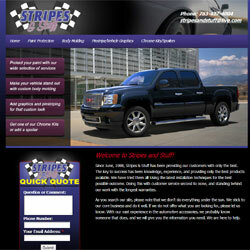 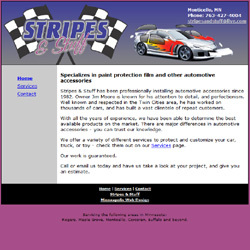 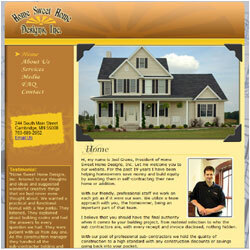 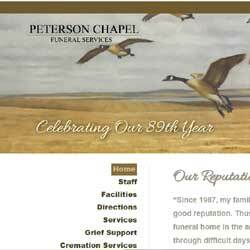 * All of our websites are designed to be search engine friendly! 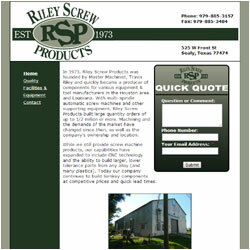 Since 1973, Riley Screw Products has been providing turnkey components at competitive prices and quick lead times. 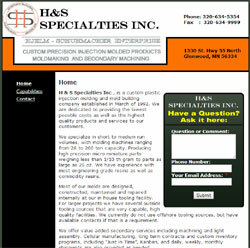 H & S Specialties Inc , is a custom plastic injection molding and mold building company established in March of 1992. 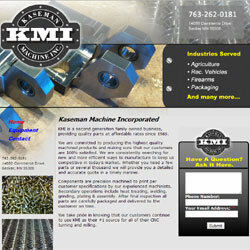 KMI is a second generation family owned business, providing quality parts at affordable rates since 1985. 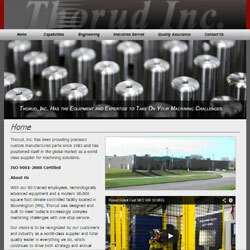 Thorud, Inc. is a world class supplier for machining solutions. 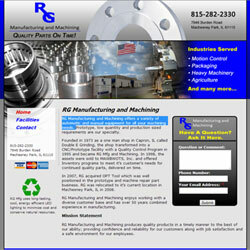 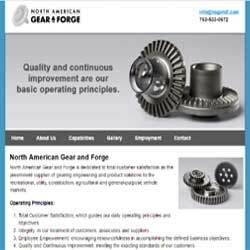 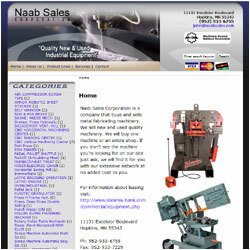 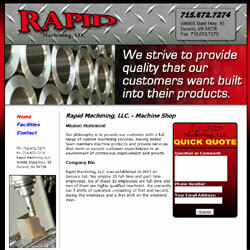 RG Manufacturing and Machining offers a variety of automatic and manual equipment for all your machining needs. 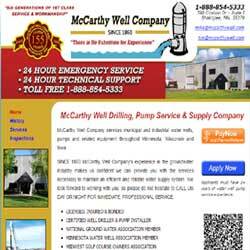 McCarthy Well Drilling, Pump Service & Supply Company services municipal and industrial water wells, pumps and related equipment throughout Minnesota, Wisconsin and Iowa.